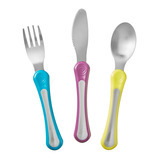 Smaller scale stainless steel cutlery designed for children. 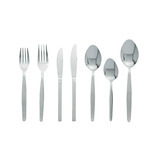 Simple etched double step design cutlery made of 18/10 stainless steel. 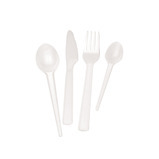 Small polycarbonate cutlery with a textured handle to assist grip. 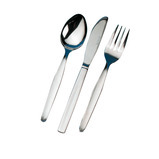 Our anti-bacterial cutlery is non-disposable and ideal for use in care homes or in other situations where infection control is of great importance. 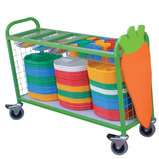 A large, colourful cutlery trolley with separate sections for knives, forks, spoons and tumblers. 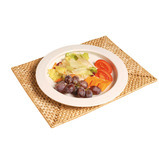 Ample storage for meal trays or plates on the bottom shelf. 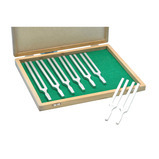 High quality aluminium plain shaft tuning forks, with frequency in Hertz marked on each one. 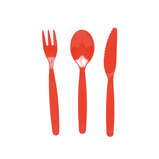 Good Grips® Cutlery has a soft cushion grip that will keep the utensil in the hand - even when wet. 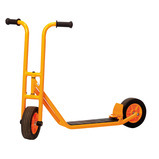 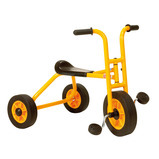 Ideal for anyone with a poor, weak grip. 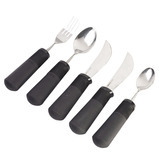 The Comfort Grip Utensils allow maximum control with minimum effort. 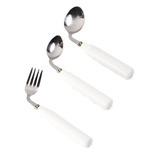 The cutlery is lightweight with ridges on the handles and is angled to suit those with stiff wrist joints. 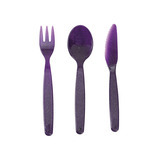 Small polycarbonate cutlery ideal for any siutation where lightweight cutlery is needed, ideal for younger children. 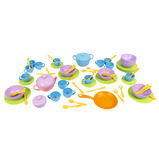 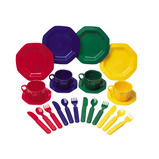 Serve up a treat with these chunky, modern dishes, perfectly sized to fit play foods. 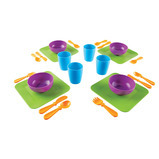 This set includes 4 each of plate, bowl, beaker, knife, fork and spoon in blue, green, orange and purple. 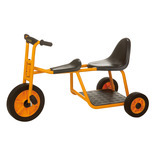 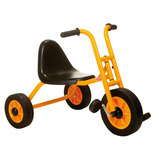 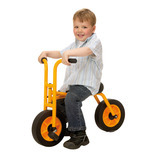 Age: 2 years+. 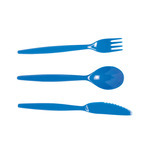 The special lip design prevents spills by letting food be pushed to the side of the plate, then scooped up with a fork or spoon. 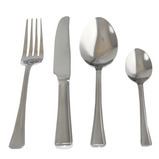 Ideal for one-handed dining. 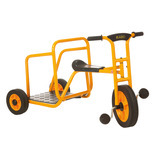 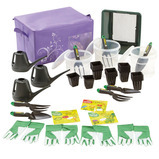 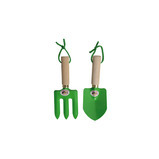 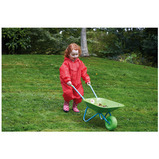 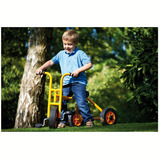 A fantastic self contained kit which is ideal for the young gardeners in school. 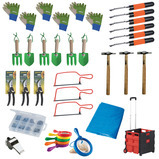 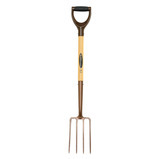 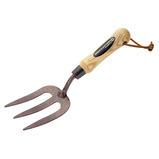 Includes trowels, forks, gardening gloves, watering cans, pack of seeds and many more, all contained in a storage box. 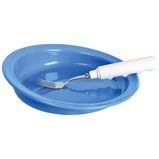 Contents may vary.